The Leonides are one big happy family living in a sprawling, ramshackle mansion. That is until the head of the household, Aristide, is murdered with a fatal barbiturate injection. Suspicion naturally falls on the old man's young widow, fifty years his junior. 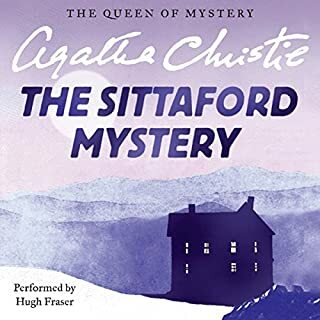 But the murderer has reckoned without the tenacity of Charles Hayward, fiancé of the late millionaire's granddaughter. I don't recall ever reading this story (play?) before. If I have, it was at least 45 years ago and it was fun to "find" a new Christie. It starts on a dark and stormy night in Wales and grabs the listener with the broody atmosphere. 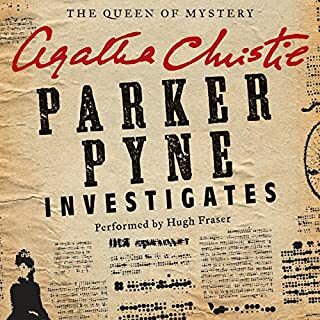 Hugh Fraser gives his usual wonderful performance with the narration, which helps paper over some of the minor holes in the plot. 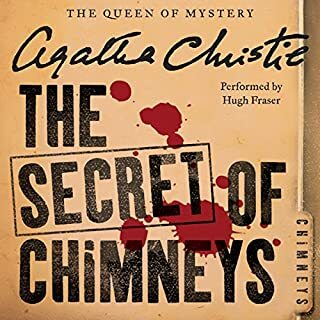 I will listen to this again and recommend it to any Christie fan. Hugh Fraser as always does a great job as story teller. The Character development could have been better but still a good read. This had a fabulous plot twist. Loved the story. Love Agatha Christie! Love Hugh Fraser! Can't wait to start the next one in my library. Short and sweet with a great twist at the end. I always love this narrator. 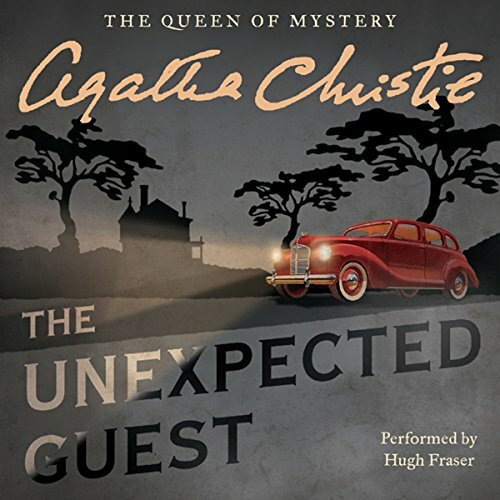 What did you love best about The Unexpected Guest? At the outset, let me say that this was a totally logical ending, and should have been expected. Yet, with Mrs. Christie's tales, there is always a soupçon of doubt, right up to the last minute. Mr. Fraser is always excellent! I have never heard him give less than a stellar performance, whether by reading, or on the telly or cinema. My compliments and thanks. Things are seldom what they seem...or are they? 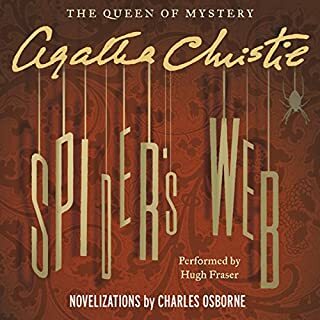 A classic christie with lots of twists and turns. Enjoyed the pace and the great atmosphere; and of course, it was a pleasure to hear Captain Hastings narrate it! This doesn't sound like a Christie to me. What would have made The Unexpected Guest better? The story having more of the "Christie voice". 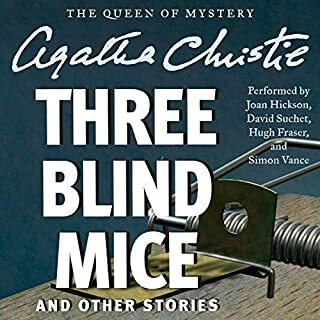 The story had such brutal dialogue it didn't sound like Agatha's usual writing when it came from the mouth of the husband and Jan, the strange child. Too gory, all the descriptions of shooting and killing things (animals). What does Hugh Fraser bring to the story that you wouldn’t experience if you just read the book? 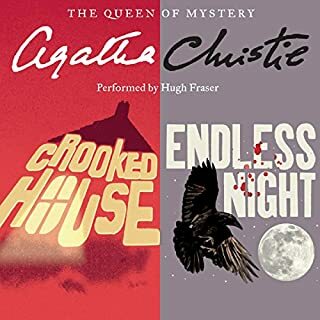 Hugh Fraser is the BEST narrator for the Christie books because he can do so many voices and accents. I think I'll probably "hear" his voice when I do actually read or reread a Christie novel. If you could play editor, what scene or scenes would you have cut from The Unexpected Guest? Some of the descriptions of how the husband enjoyed "killing things" and some repetitive material when the characters were analyzing the death and some of the high-pitched remarks of Jan. I don't think this will be a repeat listen for me. Agatha Christie was a woman of her time, and her biases (anti-Semitism, casual racism, etc) crop up often in her plots. I don’t want to spoil the plot for anyone determined to read all her novels/plays/stories, but this is one that should have been allowed to fade into history. I am disappointed that the estate apparently decided to have this play turned into a novella after her death. Had read this some time ago.....the narration really brought it to life and I remembered why I had enjoyed it.